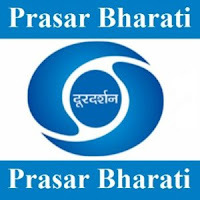 Prasar Bharati is India's largest public broadcasting agency. It is a statutory autonomous body set up by an Act of Parliament and comprises the Doordarshan Television Network and All India Radio, which were earlier media units of the Ministry of Information and Broadcasting. Applicants who have completed an MBA, CA, ICWA, PGDM or equivalent from a recognized Institute for Prasar Bharati Sarkari Naukri 2019. Eligible & Interested candidates can download the Notification form on the Official website page at www.prasarbharati.gov.in Prasar Bharati Sarkari Naukri 2019.